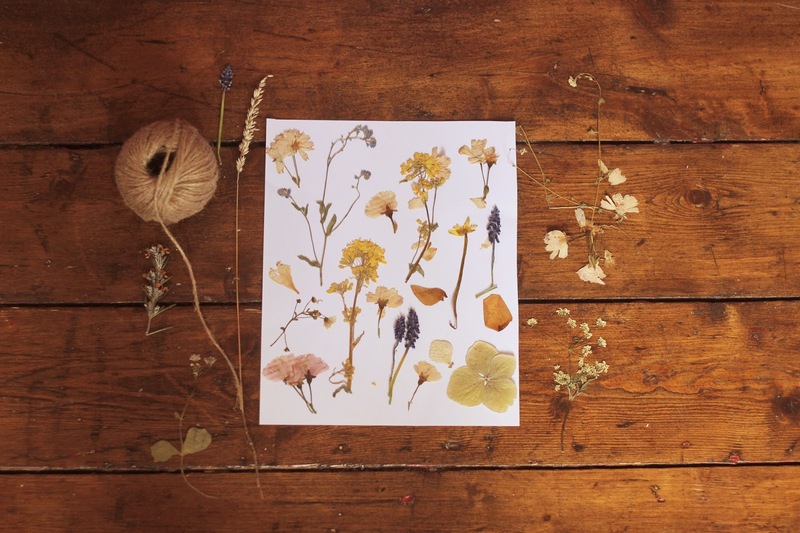 Flower pressing has been something the girls and i have loved to do together over the last few years. I actually loved to it this before i even had children. I use them alot in my journals. Elle also has her own nature journal filled with pressed flowers also, which she loves to keep adding to. 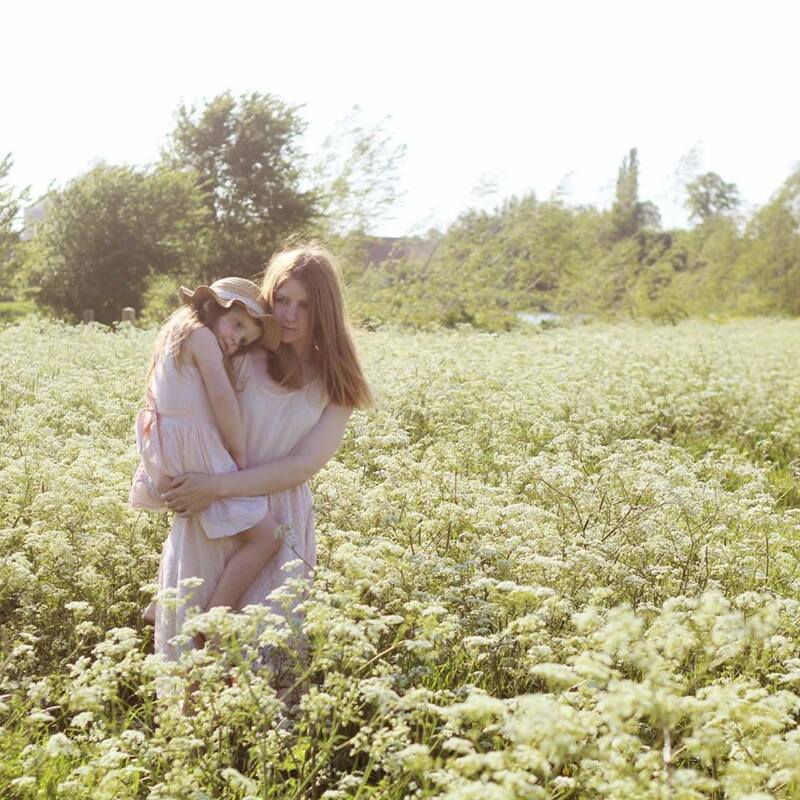 There is something wonderful for us about going to the meadows and woods with our baskets, collecting flowers and trying out different ways to use them. We love to display them first and then after a few days, we will add them into our flower presses. I love my big press. 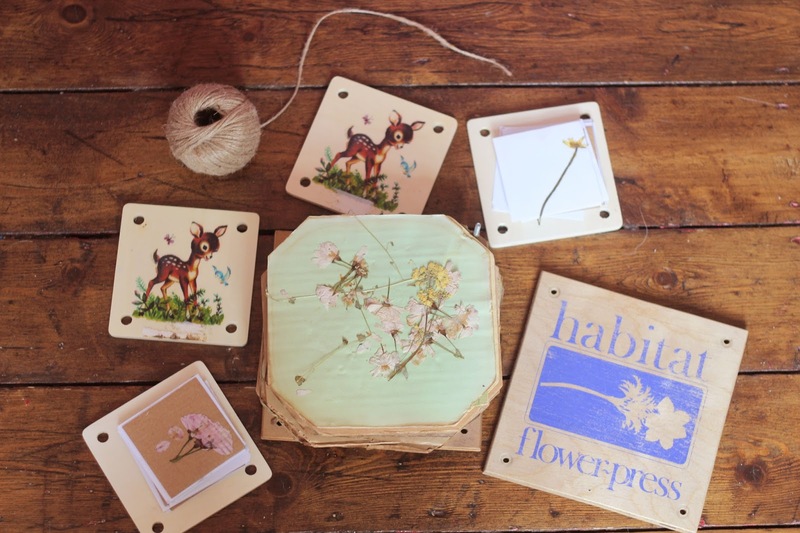 I picked it up from a car boot a few years ago and the girls flower presses are from Tigerlillyquinn's shop. 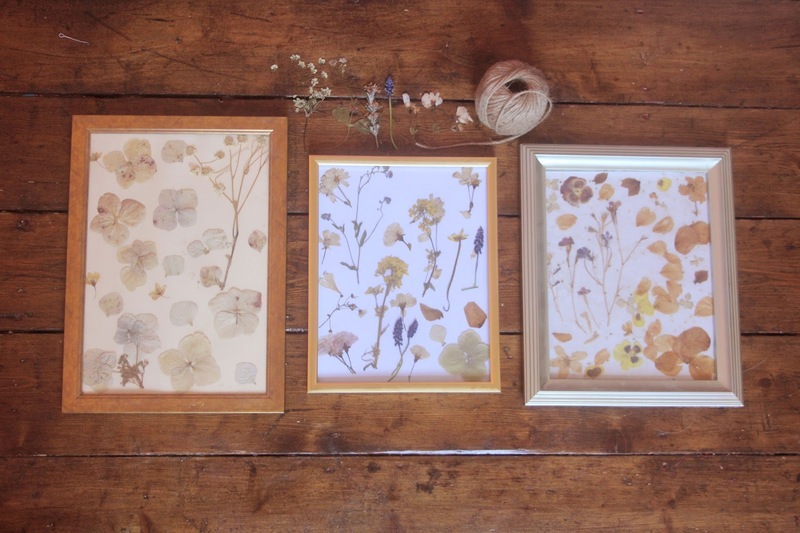 Over the years, i have made two pictures with pressed flowers. One of them hangs in Mia's room and one sits on our living room mantel piece. 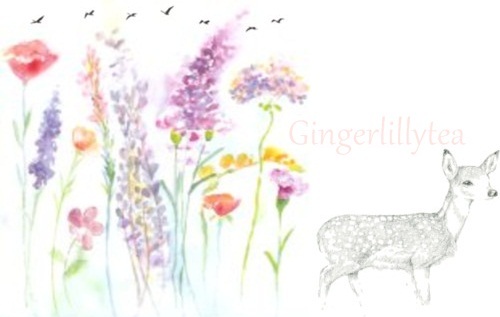 I have wanted to create a flower and woodland creature wall in my living room and after a discussion with my husband, i am going to do it over the next month or so and i instantly wanted to make another flower picture. It is such a simple process to do. I just picked up a cheap gold frame, stuck the flowers done on a piece of paper and put it in the frame. These flowers were from last year and i cannot wait to make one from this years flowers already! I needed to make room in my press to add more flowers! 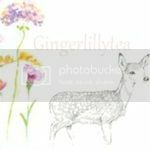 I am such a nature girl at heart and i have talked about playing around with flowers for about a month on my blog now but it really is something that is a part of me. It always has been and always will be. I love just taking twenty minutes each day to just create something or to do something like pressing flowers that make me feel calm. My days can get so busy with the girls, workouts, housework etc so allowing myself time to just be free and be myself without the stresses is very important. Oh these are stunning. I remember doing this when I was young and need to do it again now! Oh yeah, I remember making things with pressed flowers a few times as a child. Loved it. You have inspired me to try this again! I used to do this when I was a child, but I haven't done it with my own and think I should. These look really beautiful - and I love them in those frames. These are gorgeous pictures. I remember doing this a lot as a child. I'll have to show my boys how to do this. 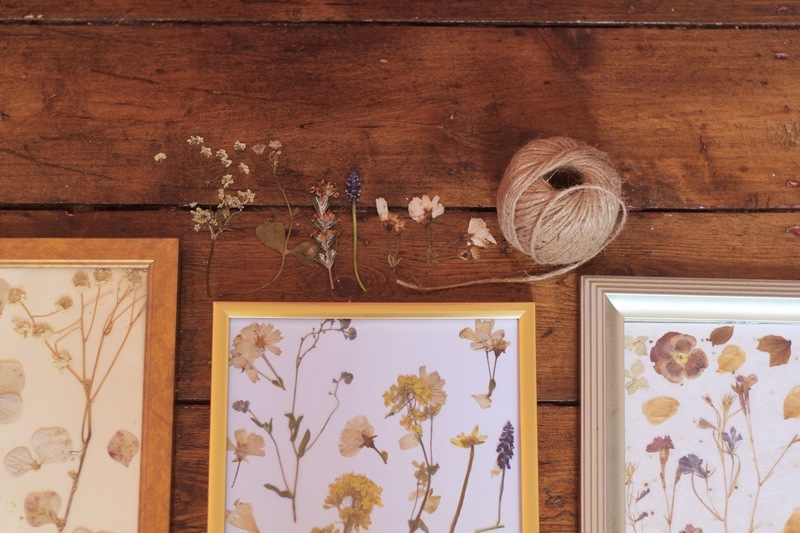 What a beautiful hobby, the pressed flowers look really pretty.